I just thought I’d share a red pine tree that resides here at Aichi-en as I did some maintenance on it (pulling needles, reducing the shoot’s to two and thinning), plus it is a hard to get a decent picture of it where it is positioned at the nursery. This tree I find, has a good feeling for me and is a personal favourite, although it’s hard to choose here. It in fact technically, has an obvious ‘rule’ fault but, I don’t think takes anything away from it. Rather, I think it adds to its character. 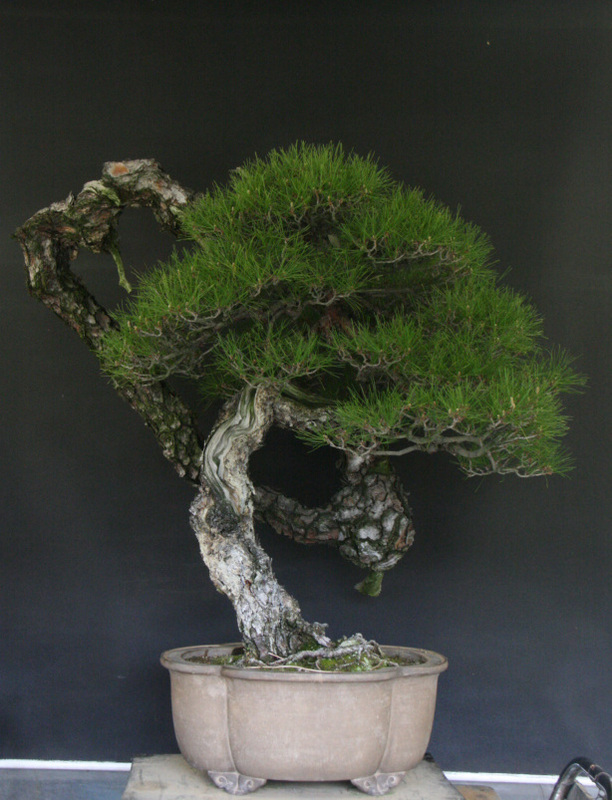 The tree is a collected/yamadori from Japan, originally bought by Oyakata’s father. 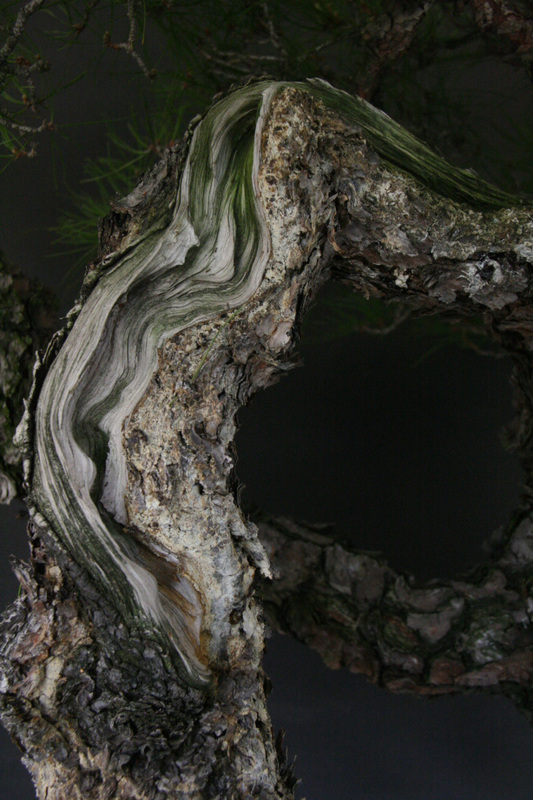 The branches have raised a bit and it could do with some wiring to show it off to its true potentially but, it was just maintenance for now, as it is that time of year.